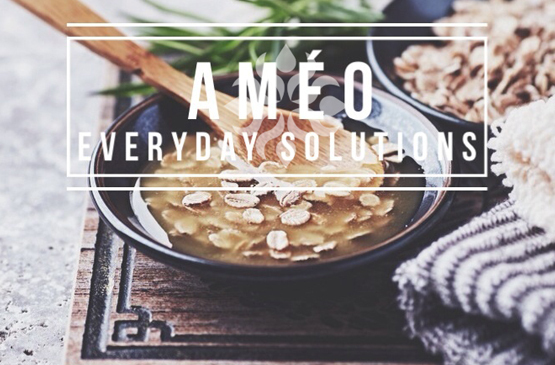 Ameo oils for housekeeping provide superior quality, personalized application, creativity and wellness benefits, to name only a few of the myriad reasons to incorporate them into your daily routine. According to ConsumerReports (pg. 8, May 2015) commercial cleaning products may contain chemicals such as dimethyl benzyl ammonium chloride, which "may contribute to breeding antibiotic-resistant bacteria." Because they can be harsh to skin and worrisome around little children, cleaning products are a topic of concern for many. This prompts us to seek safe, effective, and more pleasant solutions to our daily cleaning needs. Although many of the Ameo Essential Oils can be used in solutions for housekeeping, here we will focus on only a few. Let's start with the endless opportunities available while caring for clothing and household linens. In the laundry room these little gems will help save money, appliances, and your clothing. In closets and drawers they are useful and enjoyable on a number of levels. No more gummy build-up from fabric softener and dryer sheets damaging your washer and dryer. Now you can freshen laundry, eliminate static and provide elements of calming, uplifting and balancing. Using worsted weight wool, wind 10 times around two fingers then add 6 to 10 drops of True Lavender or 4 drops each Tangerine and Peppermint. Continue winding until it is about the size of a tennis ball. Press firmly into the toe of a nylon stocking; add more balls, tying securely between each. Once you have a "caterpillar" wash and dry using high heat to facilitate "felting." Refresh oils as desired. Use three to six balls per dryer load. They can also be placed in closets, drawers and gym bags. How about placing a ball in each tennis shoe—strongly scented with ProShield or Calming Breeze? Spray into bowl prior to use, after flushing or just to freshen the room. In a busy home, when our children were small, the use of this room often constituted a rare moment of calm. For this reason the use of oils like Pure Tranquility and Calming Breeze may apply. Lastly, we have floors. Whether vacuuming with a blend of oils in baking soda, steam mop solutions or formulating a rug shampoo, these combinations can make rooms healthier and more pleasant. Seeking to calm restless toddlers, helping teens to focus, purifying a sick room or even adding ambiance to the master suite—all possible applications for the following formulation. 1. Add melted coconut oil, Vitamin E, and Ameo True Lavender Essential Oil to glass jar. In everyday life, Ameo Oils can be used to enhance daily tasks and make life just a little bit easier and more pleasant; beginning with the diffusers, available in various styles and applications to specific uses in the home. Cooking, cleaning, cosmetic uses are just a few ways of adding the oils to your life, making for a great topic of conversation. Make sure you carry a few sample bottles of your favorites, maybe attached to a business card, to share with those who come your way. While traveling, I carry Ameo Peppermint and Soothing Air. Placing a few drops on a cotton hankie can be a real help for those moments when offensive odors—like stuffy airplane cabins or subway platforms—make breathing deeply a real challenge. Peppermint in a ¼ dram sample bottle can be touched gently to the tongue to assist with the occasional travel nausea. A blend of Lemon and Peppermint in a one-dram dropper bottle allows you to add a drop or two into the water glass at a restaurant. Wearing the Améo Aroma Necklace, saturated with Gentle Repose or Pure Tranquility, to a potentially stressful meeting can be grounding and provide for better focus. The Ameo Aroma Ornament can be placed in drawers, closets, cupboards, workspaces, and even in the car. Using this wonderful tool in multiple locations allows for varying applications in aiding focus and relaxation as well as more specific health benefits. Remember to have your oils in several locations by using the Ameo Zipper Oil Pouch and Ameo Single Bottle Holder Keychain (this one makes a wonderful gift or door prize). Cut a grapefruit in half, drop some Ameo Grapefruit oil on the cut surface and sprinkle with Borax, now scrub that tub ring. Work 5-10 drops of Ameo Tea Tree or ProShield oils into ¼ cup Borax. Sprinkle into toilet bowl and let stand for 15 to 30 minutes, scrub as usual and flush. Now place a couple of drops of chosen oil on a damp paper towel and wipe clean surfaces inside and out. For your kitchen disposals take a thick slice of lemon and rub with Ameo Oils such as Lemon, Orange, Eucalyptus, Lavender and/or Clove. Run in grinder with hot water. If your shower curtain slides with difficulty try mixing a drop of Ameo Tangerine Oil in petroleum gel and wipe onto the curtain rod. To keep the bedroom smelling fresh try the following: For dresser drawers and closet shelves, take a length of freezer or butcher paper, wipe with a cotton ball onto which you have dropped Lavender and Spruce Oils. Place oiled side down. Sachets can be made using rice and essential oils wrapped in netting and hang on the clothes rod. Cooking Tip - Place 2 drops Sweet Basil oil, 2 drops Black Pepper oil, 1 drop Peppermint oil on a plate, mix. Slice citrus (key limes and kumquats are fun) rub slices in oils. Place in ice cube tray with a leaf of mint or basil. Pour fresh juice to cover, freeze! If pets are a part of your world, your carpets and rugs may benefit from a little extra attention. You can make a carpet deodorizing powder by combining one small box of baking soda, 1 teaspoon of Borax and 15 to 20 drops of Ameo Clove and Peppermint oils—you can even add ground cloves to the mix. Sprinkle onto carpets and rugs and vacuum normally. Your pets have health needs as well. If you have benefited from the use of the Ameo Gene Expression (AGX) formulas, you may experiment with their use for your pets. Remember that these members of your household may be smaller than the adults for which these combinations were developed. While safe and effective, even for more frequent use than you may be using yourself, be aware that your pets may react differently. The one effect that may be unexpected is a boost in energy and burping. That's right, if Fido smells a little more like Améo True Lavender and Oregano, it's just the oils. So, how do you get your 145-pound retriever to take a capsule of Ameo Cell Health? Try wrapping it in a slice of cheese, blending it in a small amount of canned food and then mixing it back in to the rest of their food. You can also try spritzing the pure oils (using the small 4 oz Ameo Mister Bottle from your Cooking with Ameo kit) onto their chew toys. Once you have specific results, share them so that others can see what you're doing. Rubbing Ameo oils like Pure Tranquility or Cypress on your hands and then gently holding your pet's face in your hands will allow them to inhale the aroma. Cypress is a great classic oil for breeds often labeled 'slightly neurotic'. If you've got one of those, I’m guessing you are smiling right now. To keep pests away, try diffusing ProShield oil in an Ameo diffuser or mixing it in a mister bottle with water and spritzing it on a dog's bed, especially during the winter months when the outdoors may be less accessible. Remember that Tea Tree, Eucalyptus Radiata, Black Pepper and Geranium also keep pests away from your pets. You can even take the Ameo Aroma Necklace charm and add it to their tag. Place 2 or 3 drops of Black Pepper oil, 2 drops of Oregano oil, and 2 drops of Sweet Basil oil in ½ tsp. olive oil. Rub 6-8 fresh basil Leaves in oil blend, bruising leaves slightly. Remove completed pasta sauce from heat, add leaves to finished sauce and cover for about 10 minutes to infuse aroma and flavor prior to serving. Want to clean up your surroundings without the use of harsh chemicals and additives? Searching for family-friendly fragrances? Ameo Essential Oils are a safe and natural solution without compromising quality. The following are some ideas to help you utilize your Ameo Mister Bottles and provide everyday solutions that will benefit you and your family! .5 oz mister bottle .